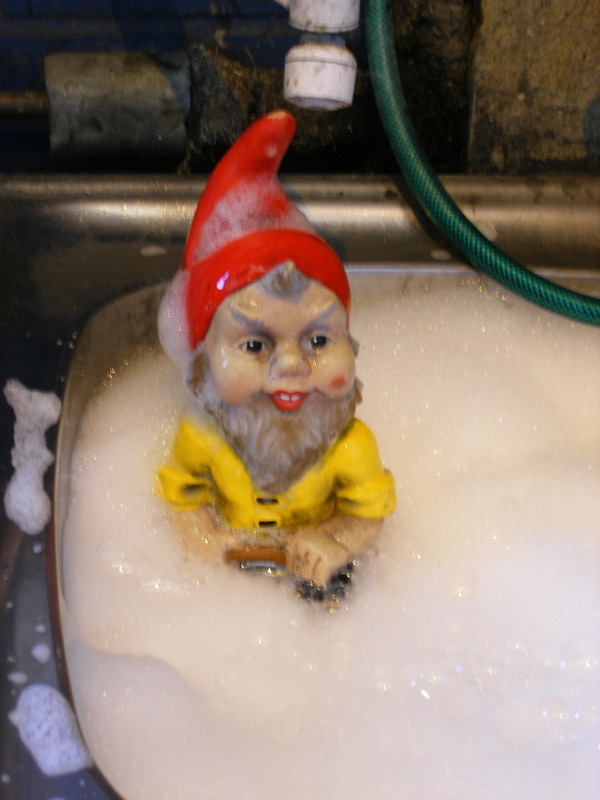 WilliG's (Willi the Gnome) Travels and Adventures Here is where you can post photos and tell about the rides and adventures that you have taken WilliG (Wille the Gnome) on. You know a few years back I had the honor of traveling with “Willi” and our very own, infamous “Brad” for the Florida visit with “Francois “ then back up to Boyer ?Station. Quite an excursion! 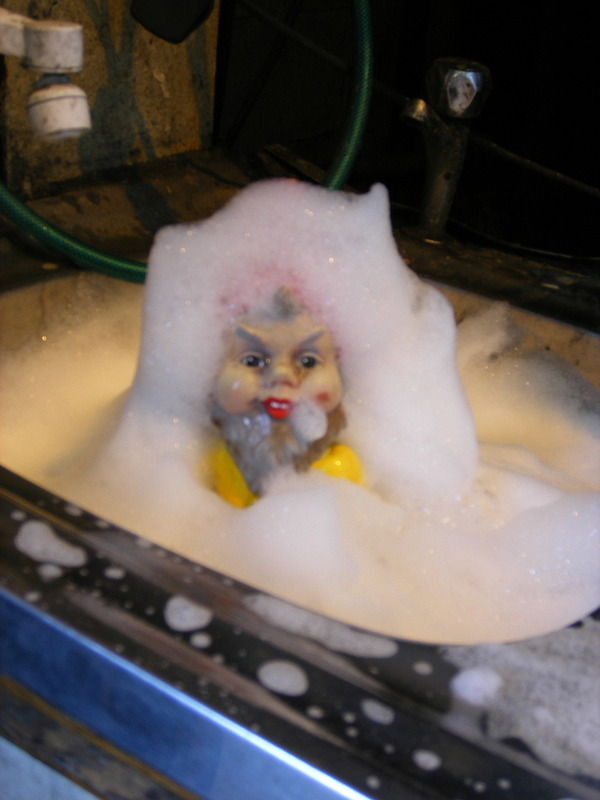 See Willi likes he's bubble baths. Barry the Cantankerous old git. Hey, will Willi be coming to the AMA vintage run July? AWESOME!! I have been wondering where he is! He's safe and sound in my garage, getting ready for a 6 day trip starting July 3rd to Nashville, Indy, Michigan, and then to the AMA Vintage Days in Ohio July 7 & 8. He rides high up on my Tour Pak keeping an eye on me as I ride. Maybe our exalted leader can make the Vintage Days?